Whistler Vineyard is located in the﻿ north-western corner of the Sonoma Coast appellation just a few miles from the Pacific Ocean. The vineyard is on a gently sloping ridge-top at 850 foot elevation above the day time fog line. The weather is tempered by the cooling coastal fog that often fills the surrounding canyons and rolls in over the vineyard after sun set. This micro climate creates a unique growing situation with cool, moist nights and clear days with temperatures in the 60'ties to mid 70'ties. ﻿The soil type is marine sandy loam that reaches extraordinary depth, a rare situation on the Sonoma Coast where the light sandy soils have eroded over millions of years in most locations. We are fortunate to be on a gently sloping ridge-top situated above of a deep crater where the marine sediment reaches depths exceeding 150 feet, allowing for the vines to penetrate deeply into the sandstone layers where the vines can find their own water. The marine sandy loam is very poor in nutrients limiting vine vigor and yield. We employ an ultra-high density vine spacing ranging from 2,450-4,000 vines per acre, which creates competition for nutrients and water and forces the vines to develop deep roots. The resulting clusters are small with tiny berries that have a high skin to juice ratio resulting in great flavor and complexity. This geology, micro-climate, and vineyard layout allows us to dry-farm, which creates a unique vine balance. 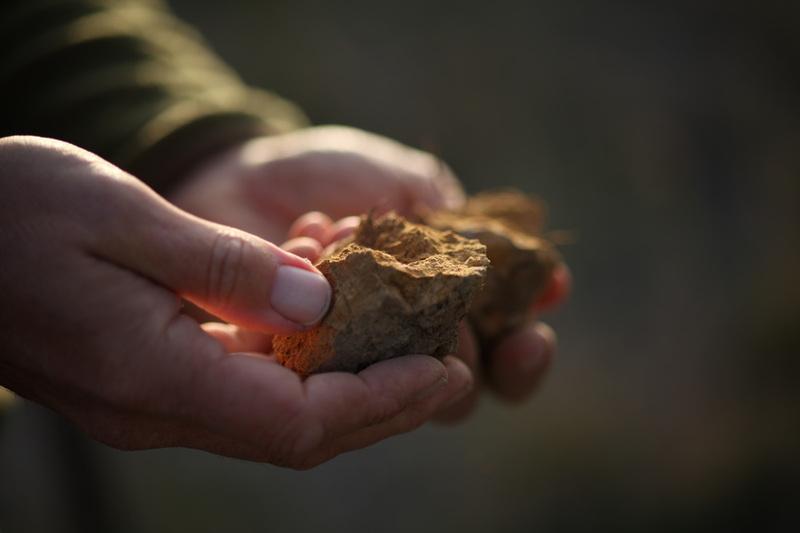 While this farming approach is labor intensive and costly, it forms the basis for the complexity, flavor intensity and pronounced minerality of our wines.